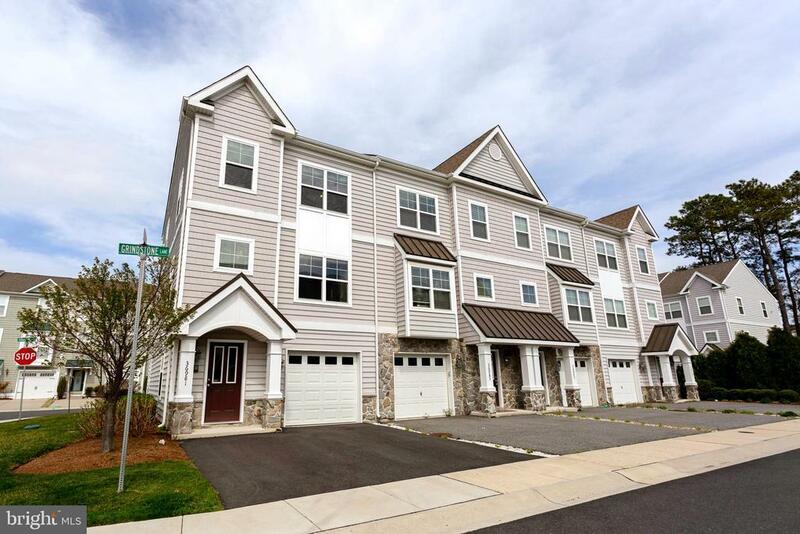 A Rehoboth Beach end unit townhome being sold turnkey. This former model three-story townhome includes an entry level bedroom with en suite and walk out patio. The second level features a spacious living room open to a completely updated kitchen and half bathroom. The second level also features a screened in porch with custom shades for extra privacy. The third level has two master bedrooms both equipped with en suites, and the master has a walk out porch. Other features include upgraded engineered tile, hardwood floors and plush carpet, ceiling fans in every room, recessed lighting throughout, crown molding and custom shades. Easily convert the garage with pergo floors and drywall into additional living space. The coastal furnishings and neutral pallet are sure to please. Located close to the community center and outdoor pool and only a short bike or car ride to the beach. The neighborhood is also located along the Breakwater Trail which connects downtown Lewes and Rehoboth Beach and has a private entrance to the trail. Dont miss out on an amazing home in a highly desired beach community. Directions: Heading South on Route 1, turn left onto to Ames Dr, turn right onto Turnstone Cir, turn right onto Shearwater Dr, turn left onto Grinstone Ln, and the home will be the first home on the left, end unit. Exclusions: TV in living room and personal effects.